The 8th Generation Intel Core i3-8145U is on the lower-end of the mid-range 8th Gen Intel Core U laptop processor series. As an updated version of the 8th Gen i3-8130U, the i3-8145U retains the same dual-core design as opposed to quad-core of the i5 and i7. The i3-8145U has a higher clock speed of 3.9 GHz versus 3.4 GHz, which is the only important difference between it and the i3-8130U. 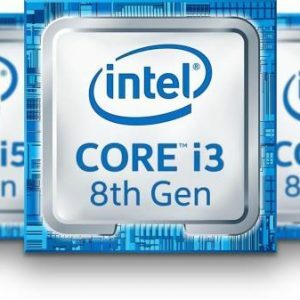 Benchmarks of the Intel Core i3-8145U show its noticeable but not big advantage over the i3-8130U. However, in the real world use the difference won’t be noticeable most of the time. Both processors can easily crunch the usual day-to-day tasks like like web browsing, work on Office documents, video playback, and similar. In more demanding tasks like video editing, advantage of the i3-8145U will be a bit more noticeable. But for these heavier tasks recommended are the quad-core i5 and i7. The 8th Gen Intel Core U processor series, including the i3-8130U and i3-8145U feature the same integrated graphics processor – the Intel UHD 620. Besides light casual games, it can also support some more demanding titles but on low detail settings, as described in this review of the UHD 620.